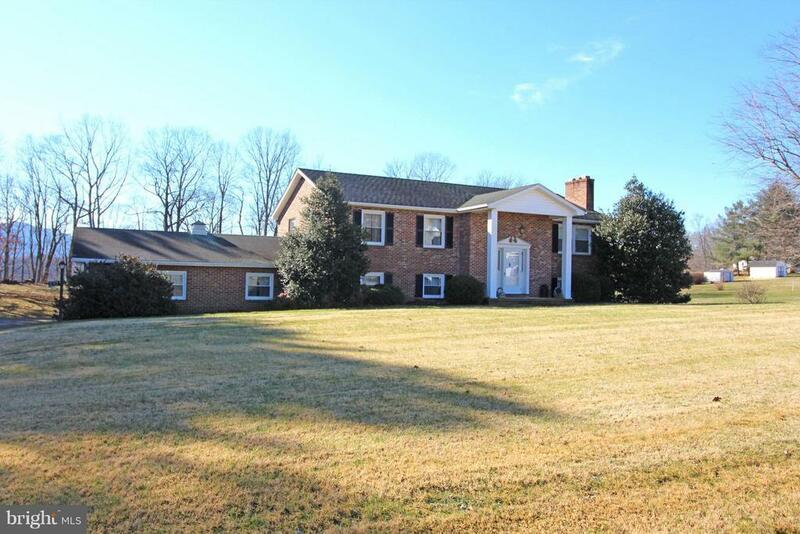 Beautiful 1.8 acre setting just outside the town limits of Woodstock. Spacious Inside and Out Split foyer with brk fpl in living room, formal dining, lots of kitchen cabinetry, 3 bdrms, 2 baths up and finished family room w/brk fpl, laundry/storage, huge workshop, patio and decking and 2 car garage! Must see soon before its gone!